Here's our guide on how to unlock different Commanders for the Arcade mode in Wargroove. After playing through the first four introductory missions of the single player mode in Wargroove, you’ll be able to take on the Arcade mode of the game. In this Wargroove Commanders unlock guide, we’ll be walking you through how to unlock Wargroove commanders in Arcade mode, who you can then put to use on the battlefield. 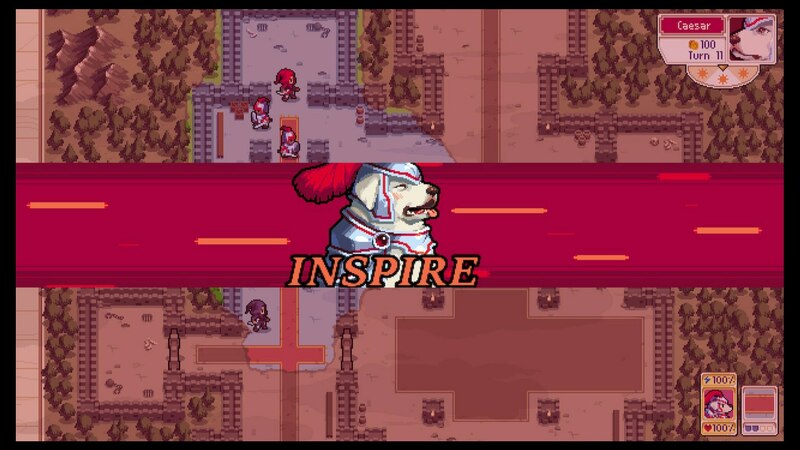 However if you instead need help with any other areas of Chucklefish’s new game, you’ll want to head over to our Wargroove tips page. It’s here that you can find all the information you need to get started with the great new game, including an overview of different unit types, terrain, and more. The plot of Wargroove follows the story of Mercia, the Queen of Cherrystone, as she is forced to flee her kingdom with few allies. As Mercia is the main protagonist of Wargroove, she’s the only Commander that you’ll have unlocked when you first go to play the Arcade mode of Wargroove, which is entirely separate from the single player campaign. There are 12 total Commanders available in Wargroove’s Arcade mode, including Mercia. Just below, we’ll outline all the additional Commanders that we’ve unlocked so far for the Arcade mode, as well as detailing the steps that we took to actually unlock them. If you can complete this Side 1 mission in the Gloomwoods, you’ll unlock Caesar as a Commander in Arcade mode. The Side 1 mission isn’t anything especially difficult, and sees Caesar and a group of soldiers assaulting a bandit’s fortress to free the prisoners within. 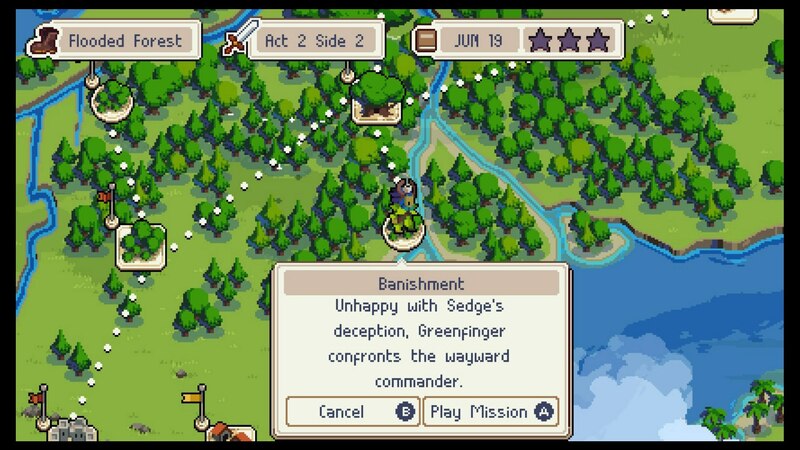 To unlock Greenfinger as a Commander in the Arcade mode of Wargroove, you're going to have to undertake another optional mission. If you can complete 'Act 2, Side 2,' where Greenfinger goes to war with Sedge, then you can unlock the wisened character as a Commander. Nuru is a Commander under the orders of Greenfinger, who joins up with Mercia and Emeric pretty early on in the campaign. 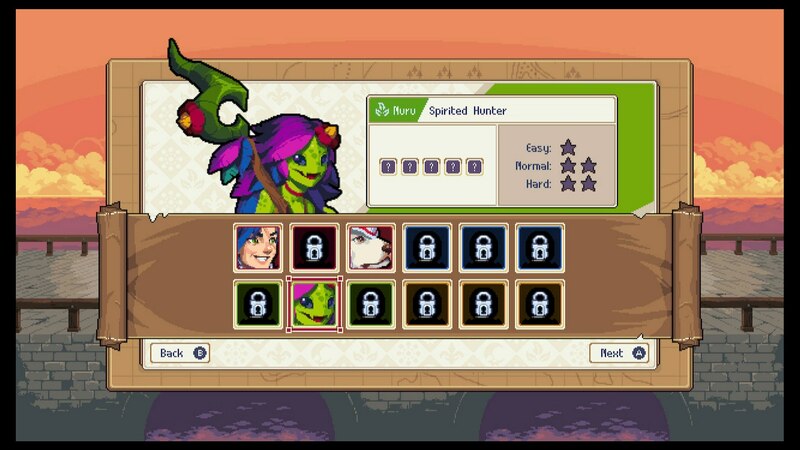 If you want to unlock Nuru as a Commander in Arcade mode, you're going to have to complete the 'Act 2, Side 3' mission called 'Making Friends' while you're in the Gloomwoods section of the campaign. In Act 3 of the Wargroove campaign, you'll have the first opportunity to play as Ragna. If you want to unlock this insane Commander for the Arcade mode, all you need to do is complete 'Act 3, Side 2' mission called 'Who is Caesar?' and you'll unlock Ragna. As you can see above, all of the Commanders in Wargroove are key characters in the single player story of the game. The first Commander you’re probably going to unlock is Caesar, the loyal companion (and very good boy) of Queen Mercia, and you’ll unlock similar important characters that you know from the campaign. Faster skip speed, expanded multiplayer, and more. Wargroove Developer Says It Was Denied Cross-Platform, Even As Sony Says It's "Open for Business"